College basketball betting is probably the most exciting form of sports gambling and with so many games, there is always value and profit opportunities presented on a daily basis. And not just in NCAA basketball odds and totals, but in dozens of other areas as well. Of course, winning wagers come only with lots of preparation and we offer plenty of handicapping stats and information to help bettors research their picks. Start with matchup reports, a daily refresher on every game on the board (and many not on the board as well) with head-to-head breakdowns, trends analysis, current odds situations and more. There might not be another sport that packs as much excitement and emotion as college basketball. Add a little money to the mix and you have even more reason to watch and cheer. College basketball odds are listed on 22 of the nation’s 33 college conferences. It means you can bet NCAA hoops just about every day from mid-November until early April. Whether it’s your favorite or your alma mater, studying college basketball lines and researching game matchups here at OddsShark.com will improve your odds of winning that bet. Watch the line moves here from the earliest preseason games to March Madness odds and pocket more winnings this season. 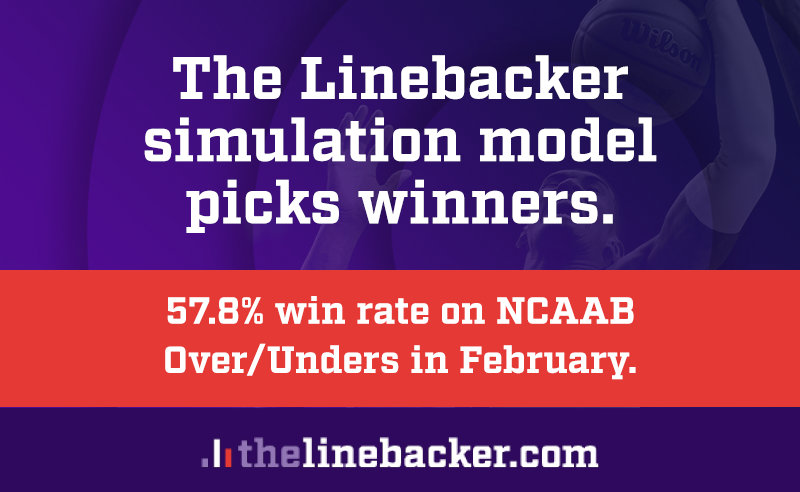 There are betting-focused previews on every game, along with the latest OddsShark NCAA Basketball Power Rankings which factor in all kinds of statistical and formulaic data. Powerful teams can be powerful betting opportunities, especially when they are not in marquee conferences or are not named Duke or Kentucky. There are offensive and defensive stats rankings tables, which can be sorted and manipulated by site visitors to find the precise bit of information they seek. Want to know how North Carolina ranks in offensive rebounds? Easy. How about ranking the best college basketball defensive teams at home? No sweat. And two of the most important handicapping tools on the site include NCAA hoops consensus stats – a breakdown of which teams are getting the most betting action each day. And the college basketball database, a searchable historical archive of decades of basketball box-score data and odds. The excitement and profit potential culminates each spring with March Madness odds on every tournament game. OddsShark.com is known to provide some of the best stats, March Madness bracket picks and seed analysis available on the planet, so bookmark it. You can also wager on preseason tournaments along with future betting opportunities on which school will win each conference.